The DR-C225II scanner is ideal for general purpose distributed scanning of a variety of document types. In corporate or remote offices, this scanner is well-suited for use by individuals or small workgroups to modernize paper-based processes, helping to increase efficiency and productivity. Those in the tax industry can benefit from its small size and ease of use. When combined with the bundled software, the DR-C225II scanner can be used for converting documents into editable electronic files; scanning business cards and organizing contacts; file archiving, retrieval, and sharing; PDF creation; and much more. 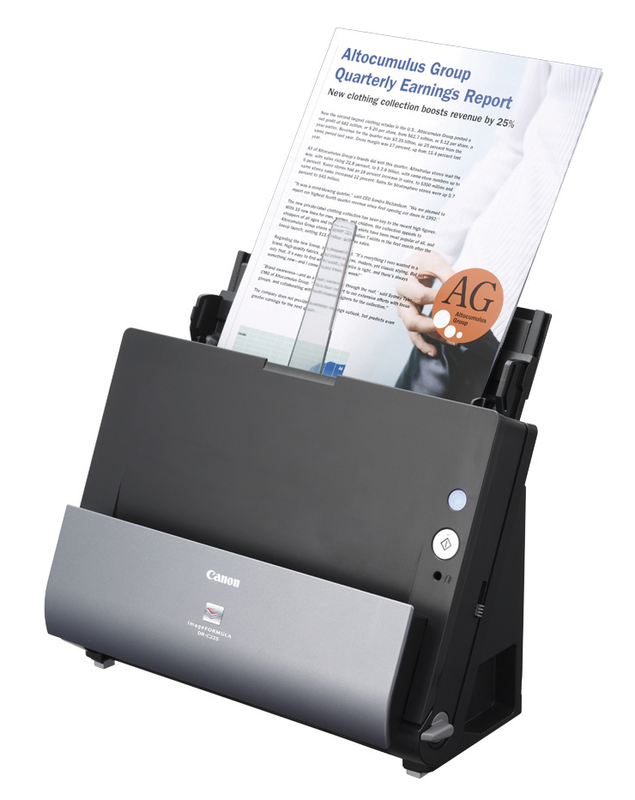 The Canon imageFORMULA® DR-C225II Document Scanner’s innovative, spacesaving design makes it a standout in any office environment for improving information accessibility, management and collaboration. Its flexibility and high image quality are only surpassed by its easy use, making it ideal for converting and capturing paper-based documents to digital format. Scans color or black and white documents. Automatic sheet feeding - scans up to 25 pages per minute. Folio mode for scanning oversized documents. Cable routing from either side of the scanner. Scanner Size: 8.7"H x 11.8"W x 6.1"D with tray closed - 5.95 lbs.